"Easy appointment making. Insightful problem solving..."
"We were relocating and suddenly had to deal with the..."
"We are thrilled to share our wonderful experience from the..."
While performing annual maintenance on our customer's heating equipment in West Orange, NJ our technician, Zach, notices the valves on the main water line to be leaking. Upon further inspection Zach noticed both valves leaking and the whole house pressure reducing valve to be not operating fully as well. After going over the options, the customer knew this was unsafe and needed to be replaced. The customer set up for the water company to come off and shut off the water briefly while Zach worked on the replacement. Zach was able to get it done in a matter of hours and the customer had no more leaks. A new customer in West Orange called Pipe Works services with a problem that underneath her sink, a leak was occurring. Our plumbing technician Mario discovered the strainer was leaking and needed rejuvenation of seals. I am considering insulating my attic with spray foam insulation and would like and estimate, as well as any other ideas or recommendations for the attic. The best time for me when I am next home for someone to come by is January 8th, in the middle of the day. Our house is heating unevenly. I'd like to see if someone can come out and help fix the problem. Thanks. My hose is cold during the winter. New home owner, noticed 2 hot spots. Want to preempt the winter. Interested in consultation. I would like a quote for making my home more energy efficient such as installation for the attic. My water purifier system under my sink is leaking. Pipe Works Services, Inc. is proud to serve our area because we’re committed to customer service. Our team of professional technicians use quality products from the best manufacturers in the business. We want to work with you to find a solution that will work best. Plumbing isn't something that many people like to think about until it doesn't work. Our certified technicians can walk you through what's wrong and fix the problem, whether it be big or small. We use top brands and time-tested methods to ensure that the work we do on your home will give you quality, long-lasting results. In today's world, you can't always assume that your water has all the right qualities. A lot of water is what's called "hard" water, meaning that it has excessive mineral contents which can potentially cause illness. 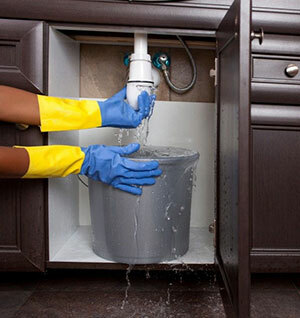 Don't take a chance on your health and contact Pipe Works Services, Inc. to get your water properly filtered and treated so that you can enjoy your water worry-free. When you're in the middle of a hot summer, the last thing you want to worry about is your air conditioning unit breaking. To make sure that you don't have to worry about that in the summer, have your air conditioning checked and serviced by the professionals at Pipe Works Services, Inc.. A small thing can easily turn into something severe, but if you catch it early, it could be an easy repair, letting you avoid a painful confrontation and expense later on down the road. For heating systems, the same idea applies: it's better to get it serviced regularly so that a small repair doesn't turn into a huge project. Keeping your home warm in the winter is important to use, so we want to walk you through all your options for repairs or replacements so that you can be comfortable in your home. Do you have problems with your home losing heat even though your heat system is working? Then you might have a problem with your home's insulation. Attics are often insufficiently insulated by the contractor who built the house and thus cannot control heat the way that they should. By installing our spray foam insulation in tandem with our SilverGlo rigid insulation, you can cut down on the air that is being leaked out of your home and save on your energy bill. Problems like ice damming start to occur in basements that don't have enough insulation because heat is being leaked out through the roof, melting snow that may be on top of it in the winter months. As the snow melts, it freezes repeatedly in the gutter, eventually creating a dam that prevent other water from freezing, forcing this water back through the shingles of the roof. The best way to avoid this is to make sure that your home is properly insulated so that heat doesn't leak out in the first place. Pipe Works Services, Inc. has the tools to make sure that your project is done right the first time. Whether you're in need of plumbing, HVAC, insulation or electrical services, our friendly staff want to work with you to find the solution that will work best for you and give you the best results for you home! Call us today for a FREE, no obligation estimate! Do you need electrical repair services, energy-efficient upgrades, or emergency electricity services? Pipe Works Services, Inc. has been providing these services and more to West Orange, New Jersey homeowners since 2000. To learn more about our electricity services, call 1-844-884-5409 or click below to schedule a free, no-obligation service estimate! Pipe Works Services, Inc. will install approximately 3” of high density closed cell foam insulation on the rim joist and sill plate on the front and driveway-side walls in the basement. Pipe Works Services Inc. will densepack our TruSoft Cellulose Insulation between the cavities of the studs on the exterior walls of the kitchen. Pipe Works Services Inc. will install approximately 2” of high density closed cell foam insulation between the studs between the cabinets. Pipe Works Services Inc. will enter the crawl space in the attic through the access opening. If that opening is too small, we will have to widen it to gain access. Pipe Works Services Inc. will air seal any accessible opening directly above the kitchen cabinet. Pipe Works Services Inc. will remove the plastic sheeting on the entire crawl space floor and any object projecting from the dirt floor. 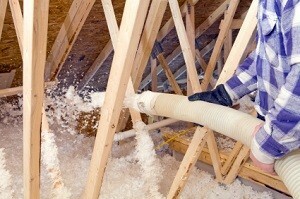 We will remove any covering or batt insulation in the crawl space ceiling and prepare for the installation of spray foam. Pipe Works Services Inc. will install approximately 3" of high density closed cell foam insulation on the rim joist of the crawl space. Pipe Works Services Inc. will seal off all the crawl space vents. We will then install approximately 2" of high density closed cell foam insulation on the crawl space walls. Pipe Works Serives Inc. will install a dimpled plastic drainage matting across the cold dirt crawl space floor to create an airspace and thermal break. Pipe Works Services Inc. will install TerraBlock foam insulation over the drainage matting and spiked down. Pipe Works Services Inc. will install the heavy duty CleanSpace crawl Space Encapsulation liner permanently across the crawl space floor, sealed with mechanical fasteners to the walls and spiked to the floor. The CleanSpace liner features Ultrafresh anti-microbial ingredients in the product. Results - much lower humidity - much warmer floor above - less drafts - more comfortable home. Pipe Works Services, Inc. will test the moisture content of the underside of the roof, the gable walls and the between the sudds of the framed out wall. Please note that a minimum of 19% is required for the foam to adhere to the surface. Pipe Works Services Inc. will remove the existing foam board between the joist of the underside of the roof and between the studs of the gable walls, and dispose of in the cutomer’s Dumpster. Pipe Works Services Inc. will install approximately 3” of high density closed cell foam insulation between the joist of the underside of the roof, and approximately 2” between the studs of the gable walls and the the framed out wall. Upgrade crawlspace by applying approximately 2" closed cell spray foam over exterior walls of crawl space and rim joist including thermal barrier paint. Install drainage matting over dirt floor followed by TerraBlock foam mat floor insulation and covered with 20 mil. thick CleanSpace liner. Supply and install one Everlast crawl space door including all necessary framing. Supply and install one Crawl-O-Sphere crawl space air exchange unit in the crawl space. The unit will be mounted to the ceiling in the crawl space and draw air by a duct from the conditioned space of the basement into the crawl space. An accessible electrical outlet is required in the crawl space. We will install ice shield around the door where water drips down from the porch door into the crawl space to prevent water from leaking into the crawl space. Returning to sand and Spackle exterior holes for cellulose insulation. Upgrade porch ceiling/cantilever floor by removing gutter and fascia board filling cavity above exposed area with dense-packed TruSoft cellulose insulation then reinstalling fascia and gutter. Some touch up paint may be needed and is not included. Upgrade 2'' x 4'' wall insulation with inserted dense-packed TruSoft cellulose insulation by. removing individual shingles and drilling sub-wall, dense packing each bay with TrueSoft cellulose plugging all holes then reinstalling the shingles. All nail holes will be caulked. Would like an estimate for blown in insulation. My house was built in 1935 and is extremely drafty. Our tub won't drain. The bathroom (same bathroom) sink also is draining slowly. No hot water. Can't light pilot. I need to replace both by AC unit and my furnace. Ideally, I would like to use Lennox brand, but I am open to alternatives. I would like for someone to come to my home and give me a quote for the work to be done. Thank you. We are in the process of purchasing a house in West Orange, NJ. We would like to replace the heating and central air unit(s) as they are quite old. The house is about 1650-1700 sq feet, and already has the duct work. We would prefer a heating unit with at least 90% efficiency. We don't close on the house until mid September so I'm just trying to determine costs at this point. The house also has a central dehumidifier that seems to be operational, but may need some service. I'm not sure if you provide that service as well.